Osteoarthritis is a condition that mainly your knees, hips, hands, base of big toe, neck and spine. On the two surfaces that form the joint are a thick layer of cartilage, a tough flexible smooth substance. A healthy joint also has synovial fluid, allowing the two surfaces to then glide over each. Over time the cartilage can become rough and thin. The ends of the bone starts to produce bony spurs, called osteophytes, more synovial fluid is produced which makes the joint swell and at the same time the ligaments can contract and thicken. These changes are thought to happen as a result of the body trying to repair the damage to the cartilage. Many people live with pain free joints, even though there is evidence of wear to the cartilage. The body has managed to repair the joint very well. In other circumstances the cartilage is worn away and bone is meeting bone causing much pain, discomfort, stiffness and changes to the joint formation. Common symptoms of osteoarthritis are pain, stiffness, crepitus (grating or grinding of the joint), swelling, inability to move the joint. Diagnosis is based on symptoms, x-rays, physical examination, blood tests and MRI scans. 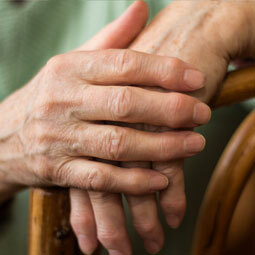 Women are most affected by osteoarthritis. It is also the most common arthritis. Research by Wang et al 2011 from Stanford University School of Medicine have shown that osteoarthritis is a low grade inflammatory autoimmune disease. The process of inflammation is the driver of the disease, not the secondary consequence. As part of the immune response, proteins which are designed by the body to attack viral and bacterial infection by punching holes in them, bind to cartilage producing cells and cause them to secrete pro inflammatory enzymes and also damage the cartilage in the joints by occupying space between the cells and preventing the development of healthy cartilage. So, in simple terms, a similar response is happening as in other autoimmune disorders. The cartilage is being attacked by our own defence system. Why have we not heard much about this new research? Doctors are still calling osteoarthritis wear and tear. More research probably needs to be done in this area before change in thinking comes about. Finding a way of halting the process is what doctors will be interested in. However this auto immune process is well known to naturopaths. They tend to see it as a problem with unwanted proteins passing through the gut lining. A ‘leaky gut’ is the common term, intestinal permeability is the medical term. Once proteins, which are only partially digested are able to enter the blood stream, the immune system attacks them in defence. It is this process that means the immune system is hypersensitive to any protein it does not recognise. It then starts to attack cartilage which has a very high protein content. Naturopaths treat a lot of the autoimmune diseases in a similar way. Reducing oxidative stress, by removing parasites, candida, toxins, heavy metals, fungi, etc. By reducing toxins from the body, the toxic load reduces, inflammation reduces and disease can be managed much more effectively. By removing substance that causes oxidative stress, we find that inflammation throughout the body reduces. By slowly reducing the toxic load, we can then start to repair the gut lining. The body then stops reacting to the proteins, because they are no longer leaking through the gut wall.